“Let us rise up and let us build! The God of heaven will Himself prosper us." 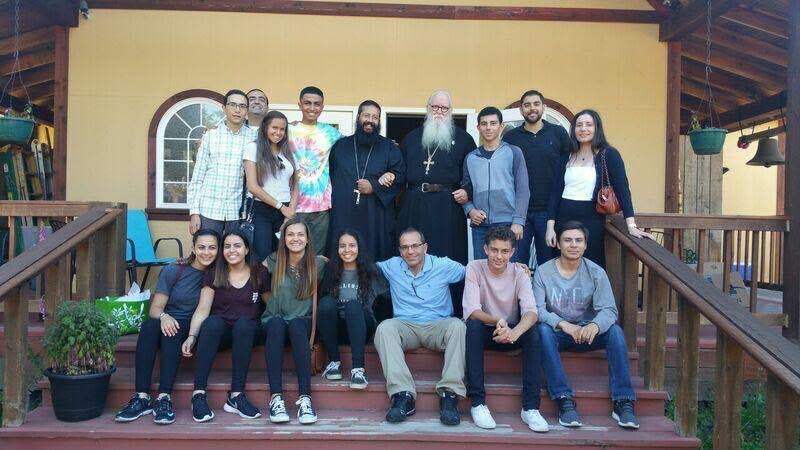 Saint Basil American Coptic Orthodox Church is a 501(c)(3) non-profit organization and your donation is tax-deductible. With God's help and with yours, our parish can find a permanent home. Saint Basil American Coptic Orthodox Church is a community dedicated to bringing the Faith and Tradition of the Orthodox Church to people of all backgrounds, not only those who grew up Orthodox. We have a fast-growing community—in three short years, we have outgrown the temporary location that we are currently using for worship, education, and social services. The sanctuary of the church is frequently filled to capacity on Sunday liturgies, and we do not have enough Sunday School classrooms to accommodate our children and youth. We put our Faith in Christ our God, in the dedication of our parishioners to the church's mission, and in your support. Together, we can find our loving, dynamic community a permanent home. Our congregation has been steadily growing, and while this growth is a great blessing from God, it also means having to find a home that can comfortably accommodate us now and in the future. A permanent location would also allow us to adapt the space to more closely reflect the style of a traditional Coptic Orthodox church. From pre-school children, to young professionals, to growing families, our church serves a wide range of age groups and interests in our congregation. Unfortunately we find ourselves lacking the space necessary to adequately fulfill their spiritual and social needs. We are looking for a permanent building that has space for a social hall, Sunday School classrooms, and meeting spaces for high school and college youth, and young professionals. Our current location in an office building makes it difficult for newcomers and those interested in our Faith to find the church itself. A new church building that is more clearly identifiable as such will invite those in the community surrounding the church to visit and inquire about Orthodoxy.